The basic concepts and equations are presented. The proof of equations is omitted. 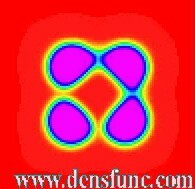 The dynamics is governed by the conservation equations for the mixture chemical components and the momentum. The tensor notations are used (indices i, j, k denote the mixture component numbers, indices a, b denote the Cartesian coordinate numbers; the summation over repeated indices are implied). where - vector of i-th component diffusion flow. where and - volume and shear viscosity correspondingly. - generalized chemical potentials of the mixture components. where - the symmetric non-negative matrix which satisfies the condition . The dynamics is still governed by the equations (1), (2). However, in this case the elastic stresses inside solid phase must be taken into account. This causes certain modifications of static stress tensor (4), though the expressions for viscous stress tensor (3) and diffusion flows (5) remain the same.